Gammbe! Gammbe! 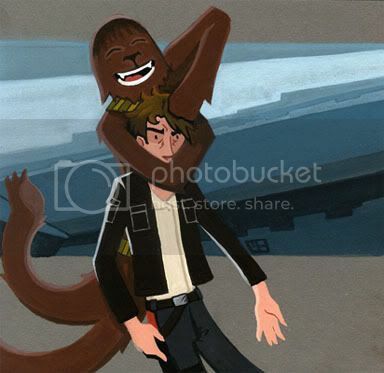 Gammbe The Lost Wookiee. Can he? Can he? Can he find his way home? so far from his home. Gammbe the Lost Wookiee, the Lost Wookiee, to find his way home. Human: Toddler Appropriate, and Up! Kiyle, Gammbe's trouble making friend! Shelby, the old Shuttle who doesn't have a proper hyperspace router! Help Gammbe the Lost Wookiee and his friends get back to Kashyyyk. Children will learn multiple phrases in different languages, dozens of unique and different worlds with an introduction to a variety of different cultures. Different languages are available at the touch of the button!